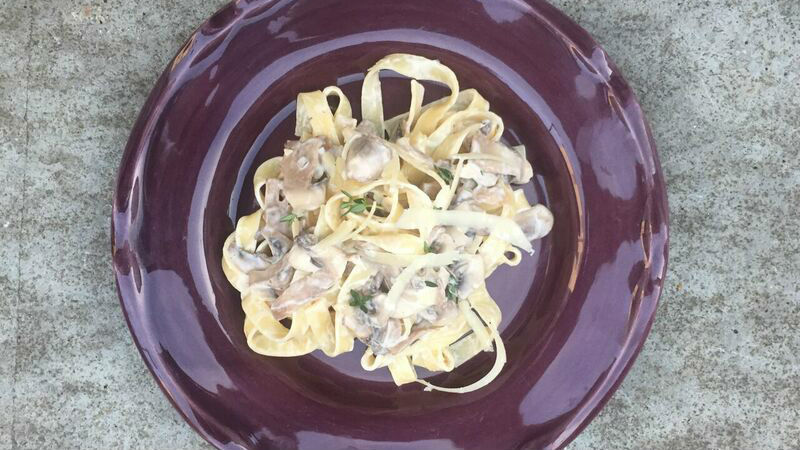 This creamy mushroom white wine and thyme pasta sauce is quick and easy, full of flavour too. HEAT a little oil in a pan and on a low heat cook the garlic and mushrooms till soft. CHOP your thyme and add to pan. ADD the splash of white wine and cook for a minute to burn off the alcohol. ADD the cream and stir until heated through and season to taste. STIR in your drained cooked pasta.